PC IM70 includes... Ice Scoop 27Lb Storage Ice Storage Bin Adjustable Ice Sizes 9' Foot Installation Drain Hose Front Casters 1 Year Warranty Compare to Scotsman CU50PA-1A, Manitowoc SM-50A, Hoshizaki AM-50BAE, Ice-O-Matic GEMU090P. 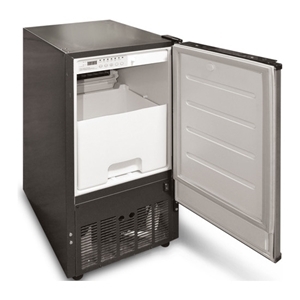 Undercounter Ice Machine produces 70 lbs of ice in 24 hours with a storage bin that holds 27 lbs. Built in water filter. Wash Cycle. Reversible Stainless Steel Door.